Commissioned in late 2010, and handed to it’s new owner Shaun Chivers on 12th September 2011, Doug has had a great time building this beautiful 5 string acoustic bass. For more information click here to see a video filmed during the build. 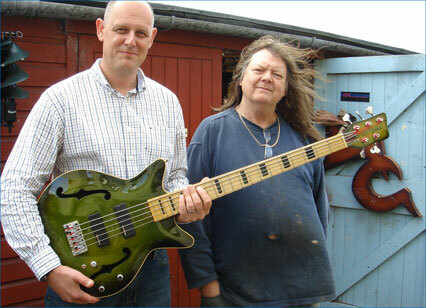 This entry was posted in Bass Guitars, From the Workshop, General News and tagged 5 String Acoustic Bass. Bookmark the permalink.